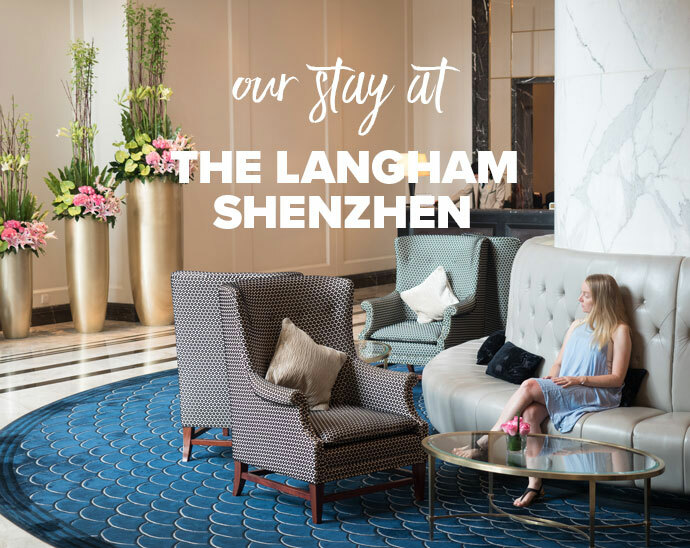 It was our first time in Shenzhen and staying at The Langham Shenzhen made our experience so much more than we could have ever expected. We were so excited to be somewhere new. Even though we were excited by the sneak peek of the city we got in the taxi, we could not wait any longer to arrive at The Langham Shenzhen. 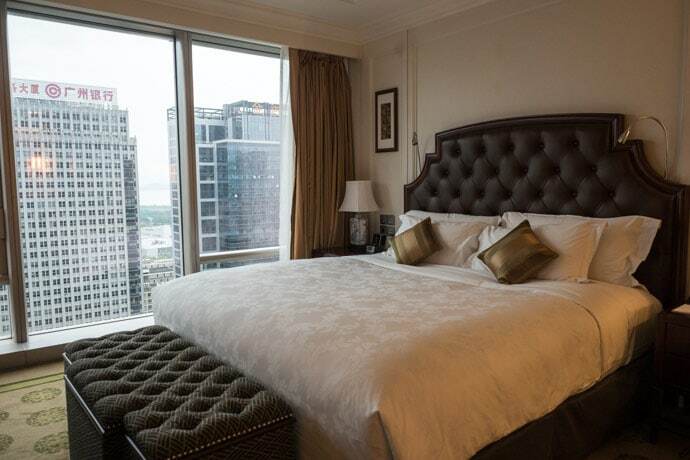 From the moment we arrived and as soon as the door was opened we were in love with The Langham Shenzhen. 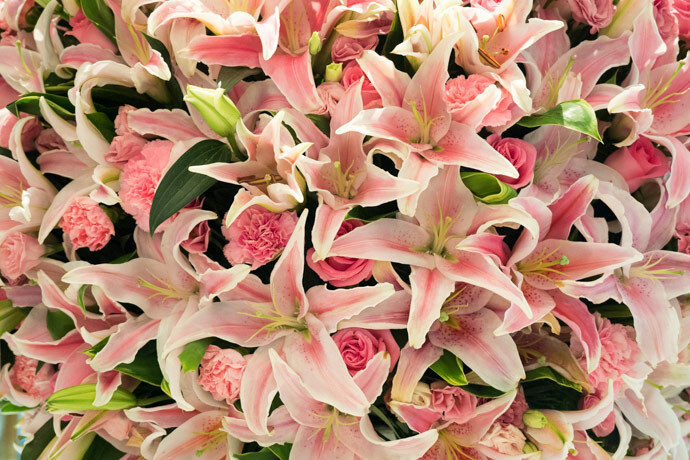 The Lobby is so enchanting, you feel as if you’re in a field of flowers with the beautiful scent and the pretty pink rose you receive on check-in is something special. The Langham Shenzhen has truly thought of everything. One of the best things about the Langham Shenzhen’s location is the fact that it is close to the MTR so you can get around nice and easy. From our room and from the Club Lounge you can even see the harbour. 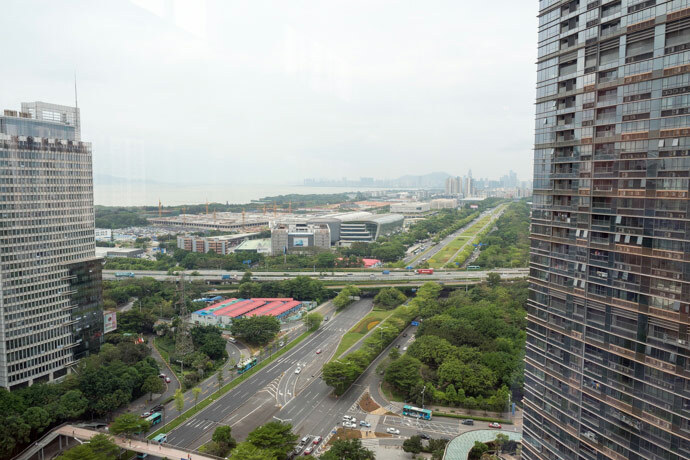 We stayed in a Grand Room with Club Access that looked out to the Shenzhen skyline. The full wall window with curtains that open at a push of a button, amazing finishes and furniture really made this a special room. 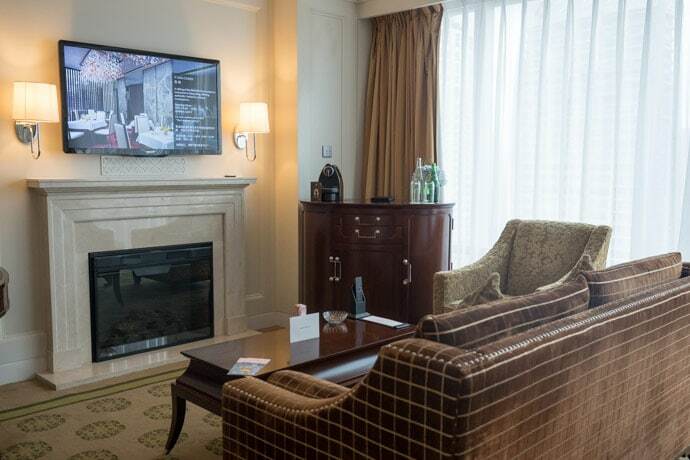 We loved the fire place and the large bath with its own tv. The layout made the room feel cozy but spacious at the same time. Club Access added so much to our experience at The Langham Shenzhen. The Club area on level 23 not only provided great views of the Shenzhen skyline, but the service was genuine and friendly. We enjoyed evening champagne and light meals which really were enough for dinner. The food was varied and delicious. 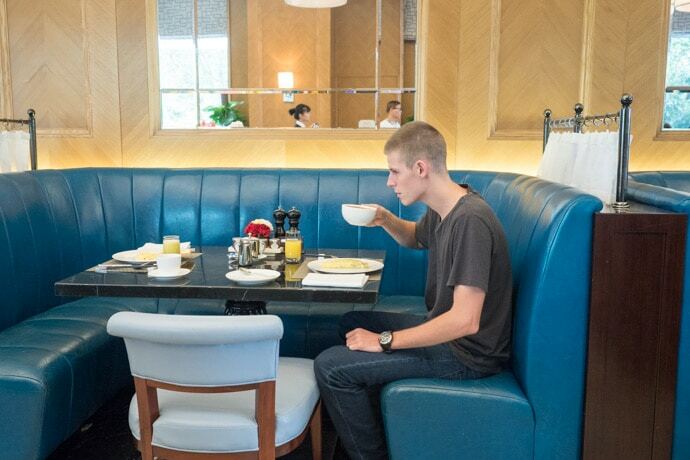 You also have the option of having breakfast in the Club Lounge. 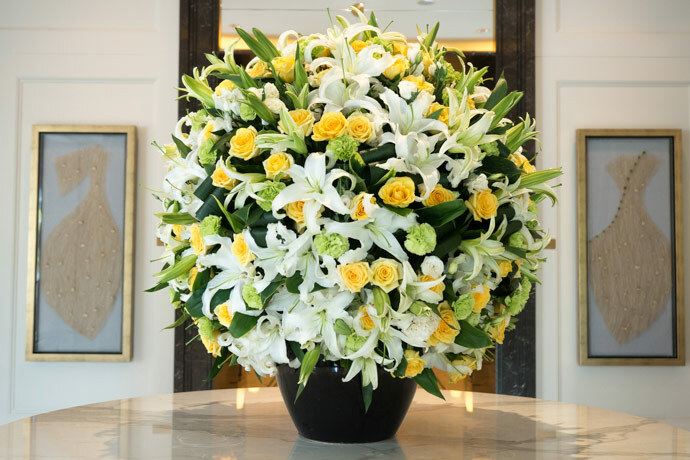 Every inch of The Langham Shenzhen really makes an impression, from the wall art in the corridors, to the chandeliers and furnishings to the smell of flowers everywhere you go. If you can’t see flowers you will definitely smell them. 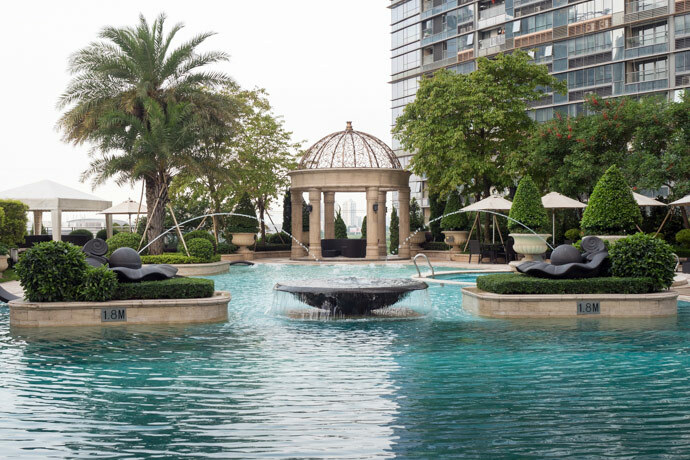 The Langham Shenzhen has 2 pools, one indoor and one outdoor, both very tempting. The outdoor pool in particular has a beautiful design and is the perfect place to relax. They also have a fitness centre with a personal trainer available. If relaxing and health is more you’re thing there is a fabulous spa, Chuan Spa, that is based on Traditional Chinese Medicine. The spa service is very personalised and tailored to you, how you’re feeling, what mood you’re in and this is then matched to one of the 5 Chinese elements to tailor your treatment. 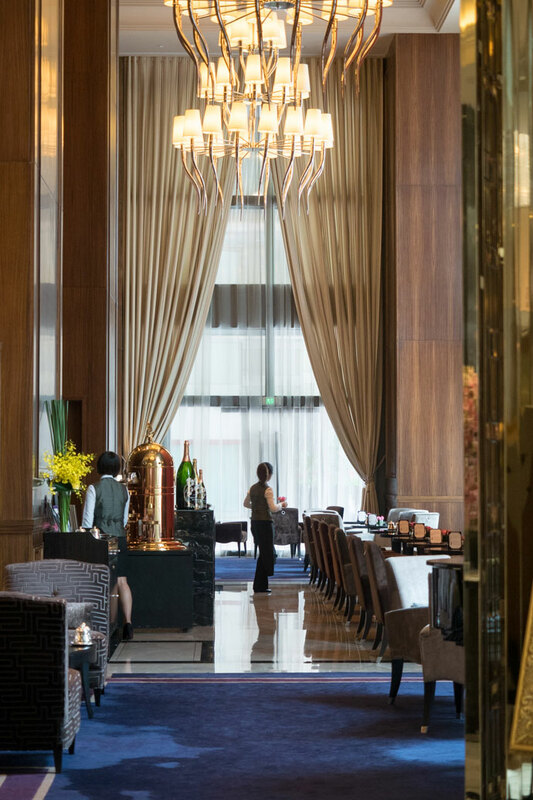 The Langham Shenzhen has multiple dining options that really seem to stand alone. Palm Court is a beautiful venue for afternoon tea, for authentic Cantonese dishes, they have T’ang Court, for tapas head to Dukes. 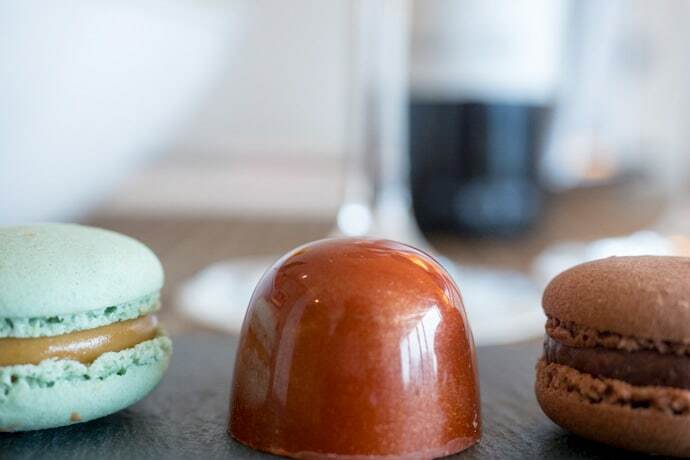 There is even a beautiful chocolate shop to satisfy any cravings. We had breakfast at Silks, which not only had a delicious range of food, but the setting was one that made you want to stay that little bit longer each morning. 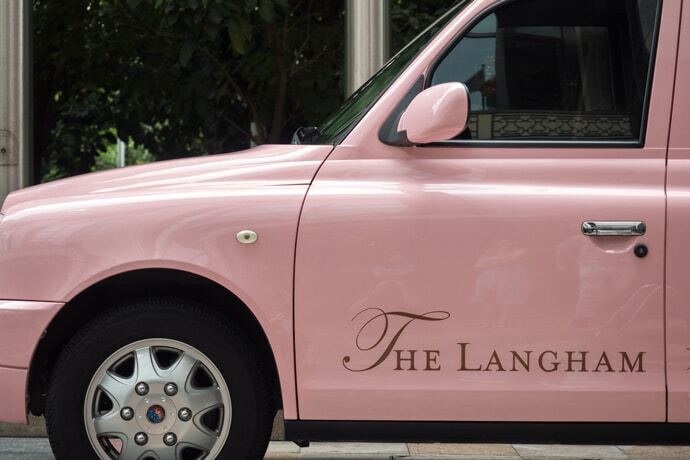 The ‘Langham Pink’ is found throughout the hotel, and adds such a romantic touch to your stay. Staying at The Langham Shenzhen was so much more than a nice room to come home to after a day exploring. Our stay was more and more personalised as staff got to know more about us. If we asked for more water on one day, then the next day we would have so much more waiting for us. If we had drank one type of tea, we not only had it replenished but would have extra of this one too when we came home. 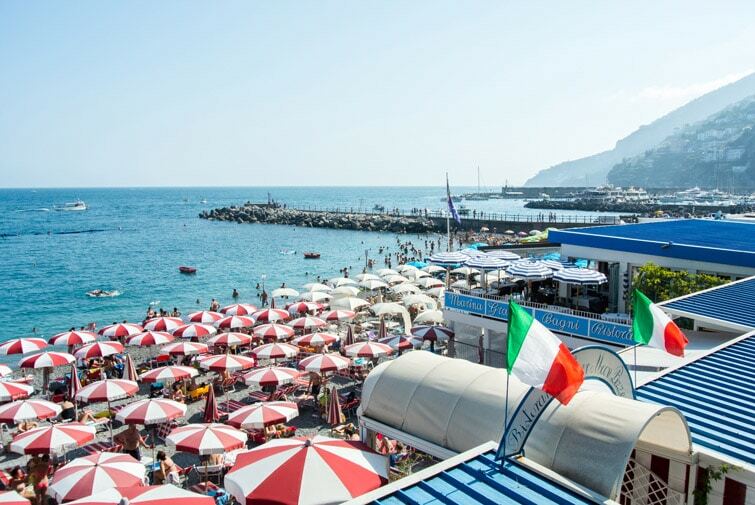 Everyone was friendly, the service was seamless and our room was our home away from home. 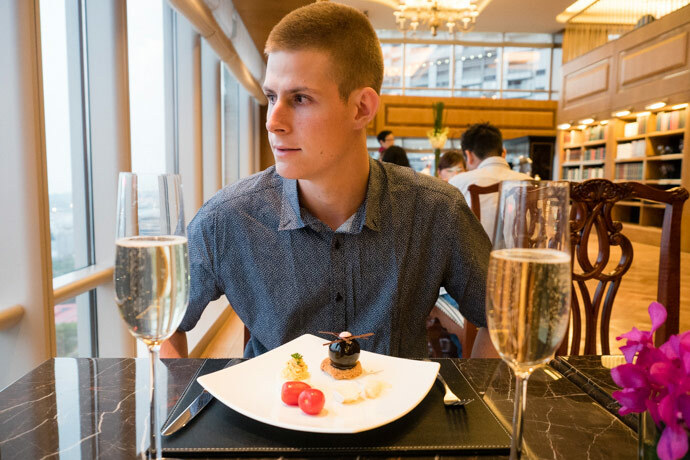 Our stay was courtesy of The Langham Shenzhen, but our experience and what we share with you is 100% Mandy + Chris.